There’s no woman's wardrobe without a dress in it. As much as you love jeans and no matter how comfy they are, only a dress can make you tender and sensual. In order for this item to fit well and bring up the strengths of your figure, it needs to be properly chosen. 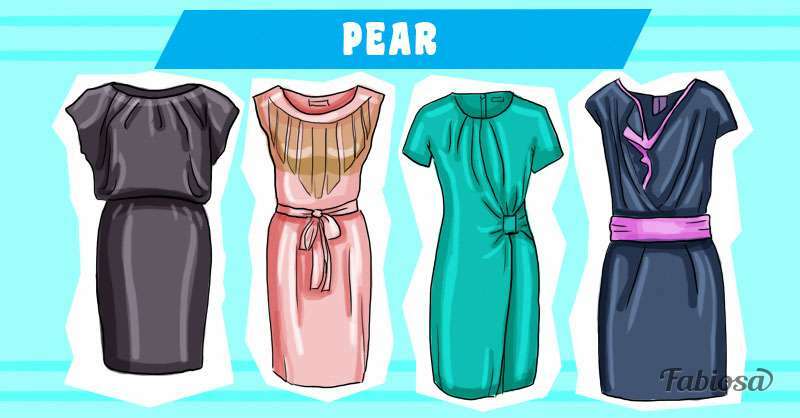 Let's have a look at 5 types of body and choose most suitable dresses for each regarding shapes, textures, colors, and fabrics. Let's start with the most admired by all girls figure. This type has a clearly defined waist with the hips and shoulders of the same width. All body proportions are balanced. There is nothing to adjust in the hourglass shape. Any dress you like will suit you. 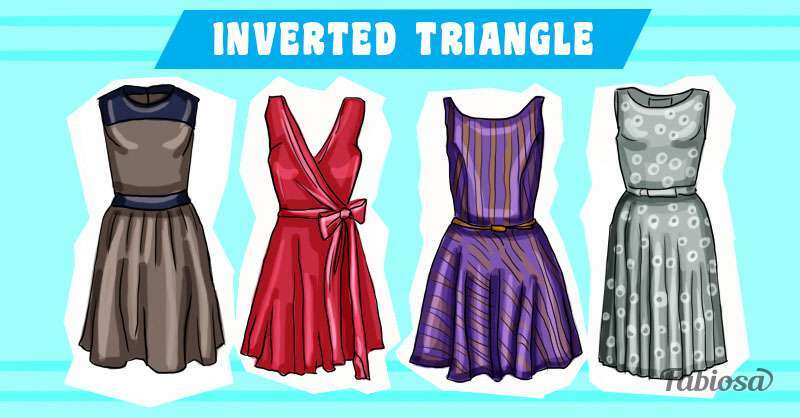 Girls with the inverted triangle body type are characterized by broad shoulders and narrower hips. To adjust this figure, consider your bust size. With a large bust, the color of the dress in this area should be darker than its lower part. The best styles are dresses with a narrowed top and a puffy bottom. These include tulip skirts, pleated skirts, or skirts with folds. Dresses emphasizing hips, with all kinds of draperies, prints, bows, and ruffles, also will do. However, be reasonable and remember that sometimes less is more. 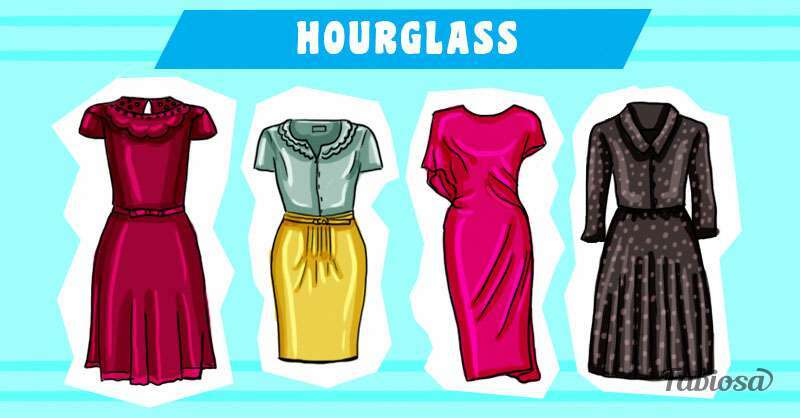 If your bust and hips measures are smaller, you can try straight cut or flared plain dresses. If your breast size is small, the recommendations will be the same as above, but choose dresses with patterns going the entire length. To look perfect, wear a push-up bra under the dress. 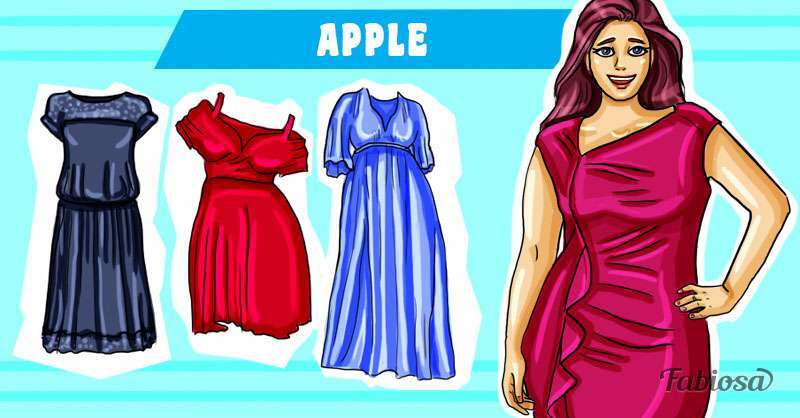 As a rule, girls with the apple figure type have thin legs, narrow hips of the same size as shoulders, and a larger abdomen. The main method of adjusting this shape is wearing wide belts or corsets. Suitable dress styles are flared, layered, or straight. Pencil dresses and V-neck dresses will also help adjust this body type. 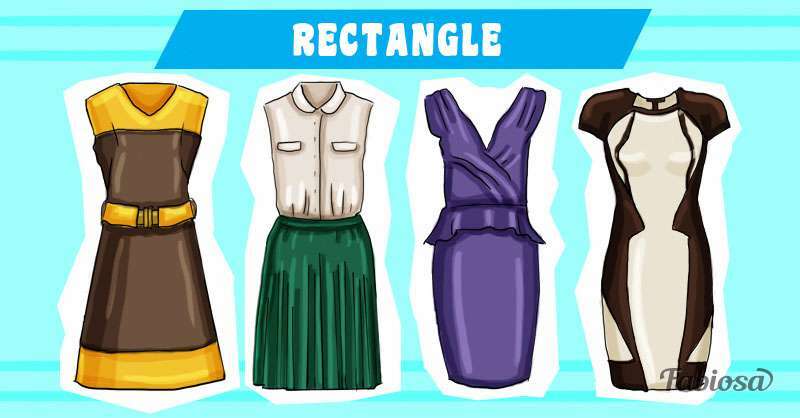 Girls with the rectangle type of the figure are characterized by similar width of shoulders and hips and the absence of a pronounced waist. To visually boost the top and the bottom, try wearing wide belts or dresses with corsets, which will visually narrow your waist and make your hips and chest appear larger. Also suitable are dresses with clearly separated contrasting colors – for example, black top and white bottom, or vice versa. 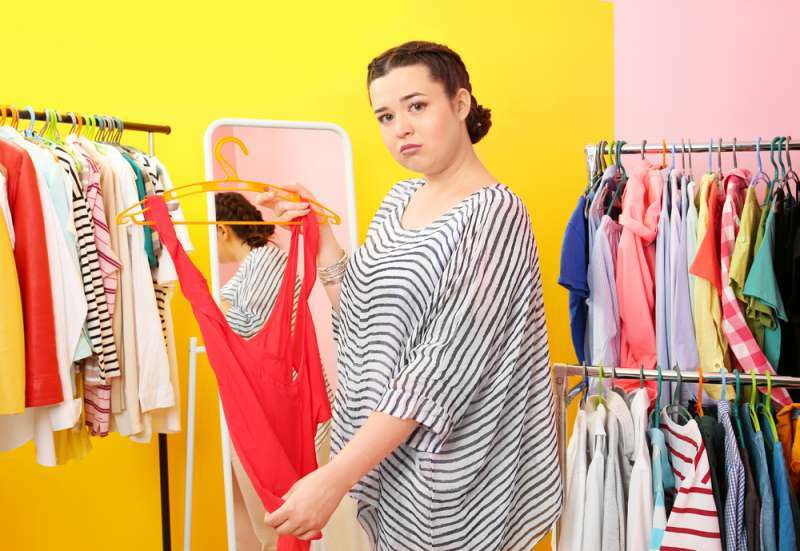 Choose dresses providing larger volume in the hips through bows, drapery, folds, as well as puffy skirts. Girls of this figure type have narrow shoulders, a pronounced waist, and rather wide hips. The task here is to adjust the bust area. Try dresses with dark bottom and bright eye-catching top. For example, a vibrant print on a bodice or plain top of contrasting color decorated with rhinestones, lace, or drapery. Use everything that gives your chest area additional volume. As for style, go with slightly flared in the bottom or slim, but not body tight, dresses. Choosing a look next time, try to consider these recommendations. And do not forget to complete it with an elegant perfume, neat hair, shoes, handbag, and other accessories.